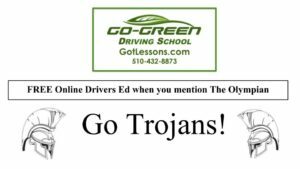 The Trojans kicked off the season with a bang, grinding to the top and winning the meet against Hayward High School and San Leandro High School on March 20. The boys won 69-56 against Hayward High and 75-52 against San Leandro. The girls beat Hayward 91-30 and San Leandro 80-43. 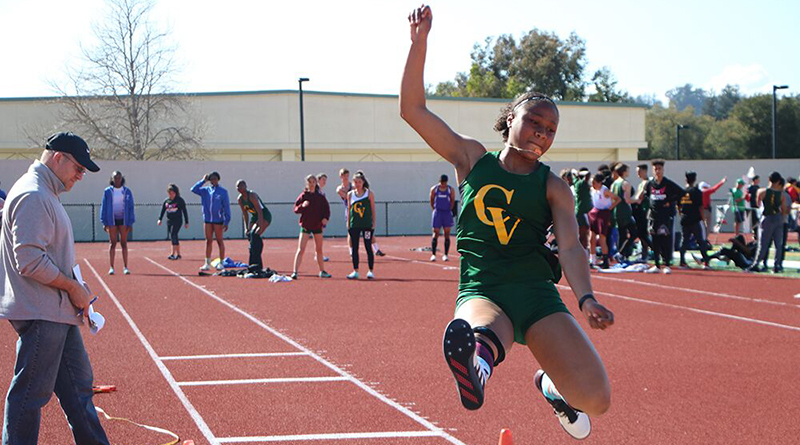 CVHS track teams did a great job getting to that finish line, and racking up point after point. Nyah Paulding came out on top, after working hard for the past couple of months. She won first place in the 100 meter dash, earning her seasonal record of 12.85 seconds. She also achived first in the 200 meter dash, with a time of 26.77 seconds. She competed in long jump and triple jump as well, and placed second in both events. Zoe Bursch came in with the storm, with a striking wins. She ran the 400 meters run with a time of 1 minute and 4 seconds. She came out on top with a tremendous lead and finished the race with a powerful stamina. She also raced in the 300 meter hurdles with a time of 49.8 seconds. Bursch made seasonal records in both her events. Victoria Nelson won the long jump in 15 feet, nine inches and the triple jump in 34 feet, 9 inches. Raegen Bennett won the high jump in 4 feet 10 inches. Olivia Davidson won the 3,200 meters in 12 minutes and 45 seconds. For the boys team, Christopher (CJ) Conley performed his oustanding race in the 800 meter run completing the race in 2 minutes and 7 seconds. He kept ahead the whole time and at a steady pace. Conley has showed off his aptitude in variations of running, coming from cross country to running track. Noah Carter won the 200 in 25.6 seconds and the 400 in 56.1 seconds. Njata Holland won the high jump in 6 feet and 1 inch, and long jump in 21 feet 1 inch. Conner Kincaid shot put with a throw of 49 feet, 4 inches.